New book details hidden spots and little-known facts about the metropolis. 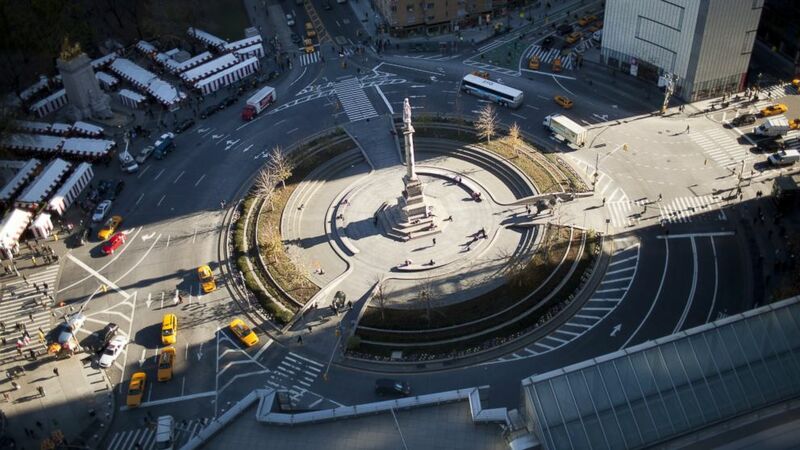 camera (Robert Nickelsberg/Getty Images) Road traffic moves at Columbus Circle roundabout near Central Park, Dec. 1, 2011 in New York. intro: New Yorkers, particularly those who were born and raised in the Big Apple, tend to think they know everything, especially when it comes to the city they love. But there are places and facts many don't know, and that's why they might want to read Christopher Winn's new book. His "I Never Knew That About" series' just-released book about New York reads as a walking guide from New York Harbor through Manhattan's many neighborhoods, from "Wall Street to Chelsea, Times Square to Central Park and everything in between." But for now, click through the next eight pages and see how many of these tidbits you knew about New York.